Mauricio Funes, then the president of El Salvador, prepares to speak in the National Assembly, San Salvador, June 1, 2012 (AP photo by Luis Romero). 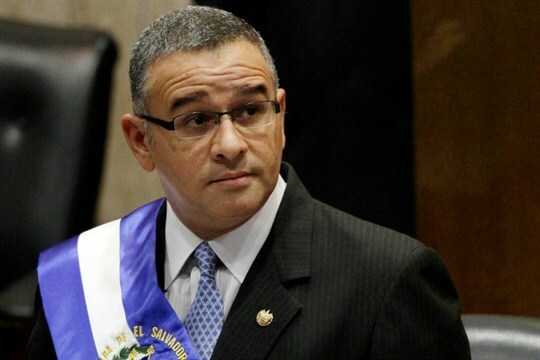 Former President Mauricio Funes is the latest leader to be implicated in corruption scandals that are consuming El Salvador. In June, 32 arrest warrants were issued for Funes, who was in office from 2009 to 2014, along with his first two wives, his two sons, his current partner, his secretary and other members of his inner circle, including businessman Miguel Melendez Avelar, known to Salvadorans as “Mecafe.” Most of them have been accused of corruption, money laundering and embezzlement of some $351 million. Two others have been accused of obstruction of justice.